MCE is based in Missouri, and provides environmental and archaeological consulting that began in 2003. MCE is certified by the City of Kansas City, Missouri as a MBE/DBE/SLBE. Certified by the State of Missouri as as MBE & WBE. Certified by the Missouri Department of Transportation as a DBE. SBA EDWOSB. MCE is also certified with TxDOT as a small business enterprise, Iowa DOT MBE, Wisconsin MBE, and Wichita, Kansas SBE. MCE holds a GSA Professional Services (899-1/00CORP) Schedule and is CCR and SAM registered. ﻿GSA# GS10F0009U. MCE has completed archaeological, water resources management, environmental compliance, and training projects for city, state, military, federal and large engineering firms. Through our 40+ years of professional experience we have developed successful strategic relationships with other experienced firms to complement our resources. MCE has grown sales each year since inception and continues to be dedicated to the preservation of the Earth: Land, Air, Water, Life, and Culture. Employment: We are not currently seeking associates, however on occassion we need temporary staff, feel free to send your resume for our files. Timberlyn Smith, M.A., CHMM,Certified Hazardous Material Manager (CHMM) Program Director is the President/CFO. She is an adjunct faculty member of Metropolitain Community Colleges and is active in environmental organizations. Ike Francis, Ph.D., Principal Investigator and Senior Archaeologist is Vice President/Marketing Director. He has multinational experience and is active in civic and professional organizations. Drew Wallace, B.S. 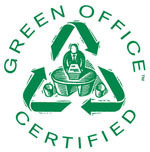 NAHB Accredited Green Verifier, Certified Green Professional, Certified Building Analyst (BPI). He is also a certified Home Energy Rater, and can provide ENERGY STAR certification services. We also have an Industrial Safety Manager, Professional Wetland Scientist, certified industrial hygienist, and a chemist on staff.